We’re not using organic pet foods at the time of this writing, but it’s something we’re considering. However, we cook organic chicken and rice for all of us including the cats about once a week. Pictured on the right is Publix GreenWise® chicken. They claim it’s free from preservatives, added hormones, and antibiotics. 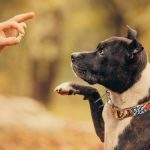 If you’ve started eating organic or healthy food yourself you may want to expand this program to include the pets in the family? 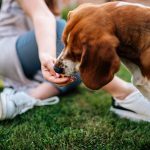 Natural foods are becoming more and more popular these days and if you’ve just purchased a pet or want to know how to switch your pet’s diet here are some tips that might help. Organic pet foods are classified as those that don’t have any preservatives or artificial materials in them. These fillers or pesticides could be hazardous to a pet’s health in the same way the artificial chemicals affect humans. So you could start by giving them certain whole grains or lean meats and rice if you’re trying to make the transition from commercial food. It’s also important to realize that some pets could have food sensitivities or allergies. 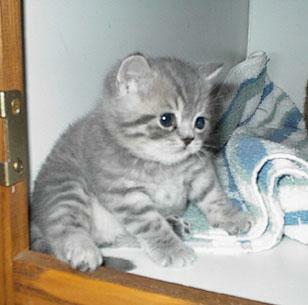 There are organic foods suitable for cats with special digestive needs. Ingredients like chicken, lamb, brown rice, and whole grains are easy to find in all natural organic varieties. When these ingredients are listed first in high quality pet food claiming to be organic there is a better chance of it being true. I tend to be skeptical of some claims including low fat varieties if you are trying to watch your cats weight. I also like when I read the ingredient list and I see dry and wet varieties of pet food that contain oatmeal. This is a great source of fiber for cats and contains nutrients that contribute to low cholesterol and good heart health. Well it worked on me as I continue to try and lower my cholesterol. Not only does it stick to your ribs and make you feel satisfied I believe Oatmeal has made a difference in lowering my numbers. Chicken and lamb are also added to the oatmeal in order to give your pet the protein and B vitamins that are necessary for a shiny coat, increased energy, and bone and eye health. 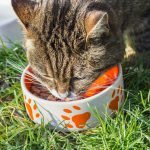 You can find meals for your cat, dog, or even hamster at a number of health food stores across the country, and you can even find some organic foods at the grocery store. If you’re having trouble finding all natural meals for your pet, you should visit the vet and have your pet examined, so that you will know exactly which foods to include in your pet’s diet. 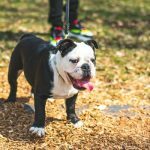 You may want to incorporate skinless chicken breast or whole grain rice like we do into your pet’s diet for the first few weeks of introducing organic pet foods. I don’t like the sound of it, but its common and maybe necessary to feed the worlds population? Here’s some information about these substances that you should know. Not just for your pet’s health but for the health of the family as well. Genetically modified foods are those that have had their DNA altered slightly in order to create a slightly new ‘breed’ of the food. It can also be used to preserve the food so that it will last longer in storage. Fruits like nectarines which are a cross between a plum and apricot are genetically altered which makes them modified. If you’re not sure which other fruits and vegetables have been genetically modified, you can always check by looking at the PLU code for foods. If there is an 8 in front of the four digit PLU code, then the food isn’t in its most natural state. A 9 in front of the PLU code means that the food is organic which some people feel makes it safer to eat. Me I’m not sold either way yet and have no problem eating nectarines. When it comes to genetically modified foods for your pet, it may not be as simple to crack the code. To be on the safe side, you should find and use trusted organic pet foods recommended by professionals as much as possible. I’m thinking that a Veterinarian should know whats best for the animals they care for. It has also been observed that most species of animals don’t even care for genetically modified foods. In many cases, these man-made foods do not give animals the nutrients they need in order to maintain heart health, increase stamina, and promote agility. Our pets have a sixth sense about what they eat. If i drop a piece of onion on the floor by mistake they won’t eat it. Note : Onions are bad for cats. 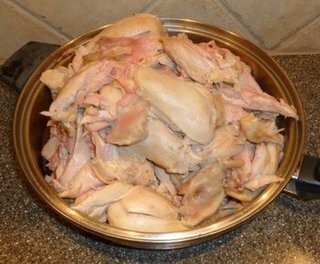 However, if I drop a piece of chicken on that same floor, it’s every man for himself. In researching this I found a few stories supporting my theory about the sixth sense of animals. For instance, cattle have been observed walking past a field of genetically modified grains to a graze at a pasture with all natural wheat that was farther away. If you want to know more about genetically modified foods, and aren’t sure whether or not you’re feeding them to your pet you should call the companies that you are purchasing pet food from to find out more about the ingredients. 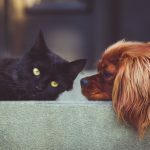 You can also use organic pet foods so that you can be sure that your dog or cat is getting all the nutrients needed to live long and be healthy. Recipe ideas and more information on natural cat and dog food can be found at All-Natural pet food stores.